Banners are a great way of advertising, and a very popular choice if you are looking at advertising that is both very portable and cost effective. Suitable for both indoor and outdoor use, and when considering your banner choice. Just let us know if its going to be for short to long term use, and we can advise the best option available manufactured from flexible PVC. We offer an in house service for banner printing. 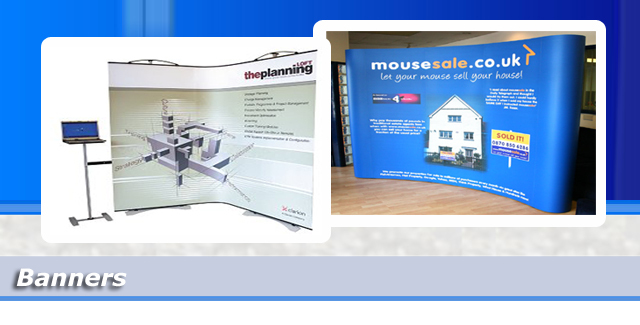 We can print into banner material with your choice of design, and finish with eyelets and hems to your specification. 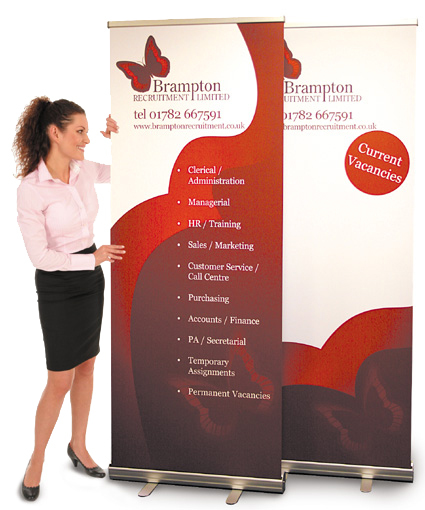 We offer a ranger of banner stand products, so whether you are looking for a basic pull up banner with a carry case, or something more prestigious for exhibition just give us a call.